Fly to Naples via Rome, on Alitalia. 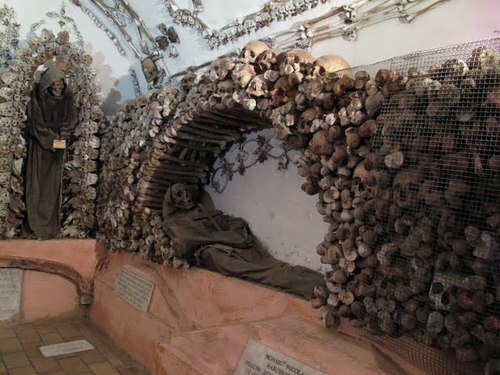 Arrive and get shuttled to Bomerano. Meet the rest of the tour group and have dinner. 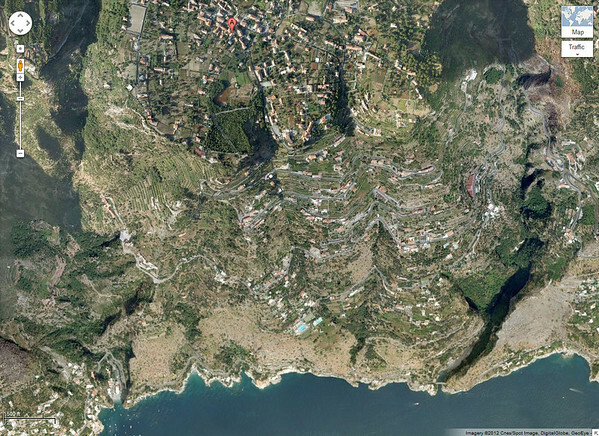 Hike from Bomerano to Amalfi, that has a downhill bias, involving many steps. 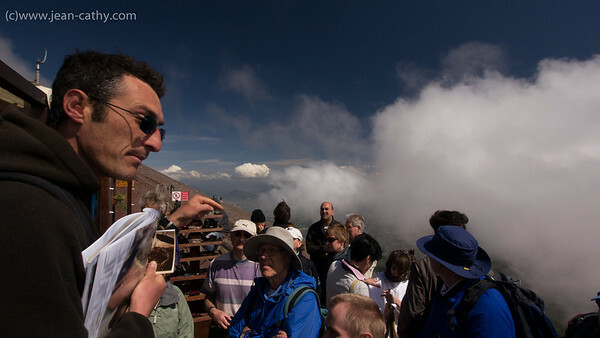 Visit the lost city of Pompeii, then climb Mount Vesuvius—the cause of its demise. 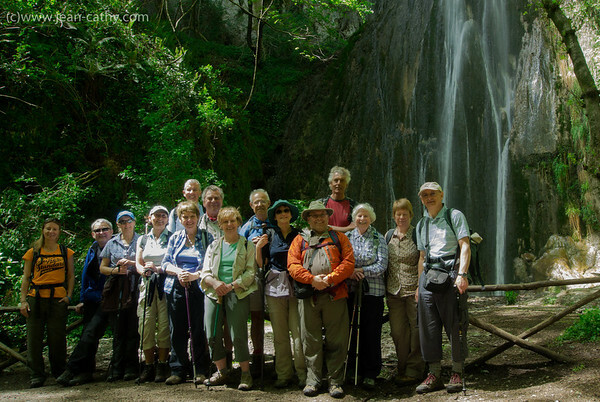 Walk through the gorgeous Valle delle Ferrie National Park (11k). 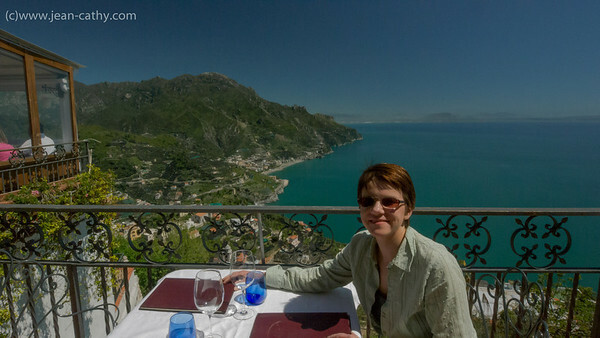 “Free day”, in which we took in a visit to Herculeum (another city lost to the Vesuvian eruption) and the lovely Ravello. 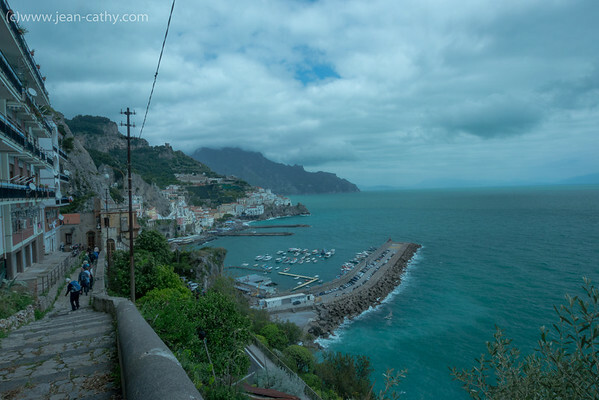 “Walk of the Gods” from Bomerano to Positano, then a boat ride back. End of tour and train ride to Rome. 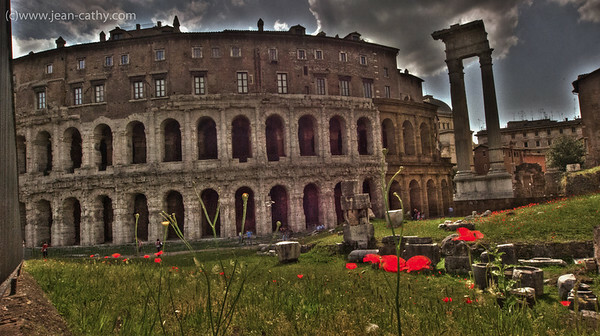 Visit Rome (museums on this day). You’ll note that the area we were staying in, Bomerano (actually part of Agerola), is not even on the map. It is up away from the sea, in the mountainous area, and not easy to get to. If not for being on a tour that brought us there, I’m sure we’d never have visited on our own. But as a place to collapse after a day of hiking or touring or both, it was just fine. Especially since it did have Internet, which really provided enough entertainment for the amount of time we spent there not sleeping or eating the multi-course meals. (More on that later). The tour group the previous week had the great bad luck of experiencing a full week of cold, fog, and heavy rain. On a hiking tour. We were in the much more fortunate position of experiencing the upswing in the weather. 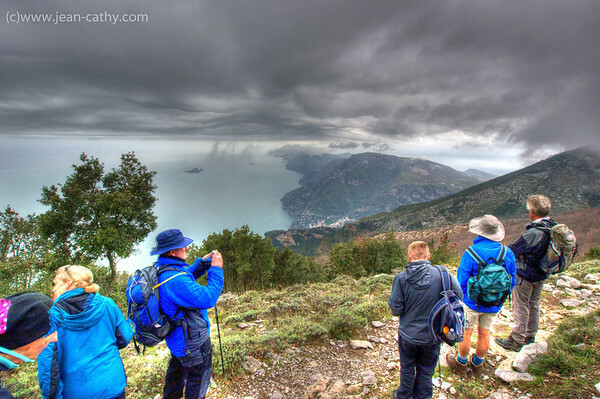 On the first day (of activity), the fog was heavy, so instead of climbing the mountain as would normally have been the itinerary, we did the walk down to Amalfi, eventually getting below the fog. Unfortunately, of course, we had few views on the way. The day of the mountain climb, though, we did have a sunny morning, and therefore nice views all the way up the mountain. However, then the fog decided to come back for our descent. And at the very bottom, we got our only rain of the trip–pretty heavy at the very end. But we all enjoyed the refuge at the Crazy Burger Cafe! The next three days were nothing but sunny, and the final day got really warm, such that we were all discarding as many clothes as was decent, and getting a great round of sunburns. Though we both do some exercise, it turns out we weren’t really in shape for walking down 2700 steps one day, then climbing up a small mountain the next. By the third day, we could barely negotiate the tiny stairs in the hotel, so sore were the muscles. In my case, it was both calves (from the up) and quads (from the down). I was actually worried about managing the rest of the trip, but by day four things were much improved, and by the end, despite continued hiking on hilly terrain, the muscles were actually pretty good. My big toes on the other hand, got extremely whiny about the constant butting up against the end of the hiking boot, and by the end were unbelievably sensitive. That made walking in Rome the first two days something of a challenge, but that too improved in the end. Well, except that my big toe nails are now kind of black. It was a good group. Interesting people who tended to have done a lot of traveling, and who worked in all different areas. Jean was particularly great with one of the older ladies, who had hurt her knee on the first day (! ), and thereafter struggled with some of the more challenging terrain. He made sure she negotiated all the paths safely. He’s sweet, my husband. We had all our breakfasts and most of dinners at Hotel Due Torri, where we staying, which is fortunately somewhat renowned for its food. It was, of course, Italian cuisine all week long, but a different menu each night, typically starting with a pasta, then following with seafood or meat, then dessert. We also got to go into the kitchen a couple times to watch the meals being put together, which was a lot of fun. That’s a lot of olive oil in that seafood linguine! And if you have a wood-burning oven at 200 degrees, your pizza cooks in about 2 minutes. The wines served were regional ones, not exported to Canada (or anywhere). They were good, quite food-friendly, but not the sort you’d make a big fuss over. We had one night out to another Bomerano restaurant, the whole group together, and they did a fantastic job there, too. Jean and I still argue over which of us had the better meal there. And in Revello, we had a splurge lunch on a gorgeous patio. In Rome, we mostly stuck with Italian food, still. It was all good, but I think most notable was the ricotta and pear ravioli in truffle sauce. Jean liked it so much when I had it at lunch that we went back to the same place for dinner, and he ordered it. I should wind up before I’m writing all night (of course I’ll be adding more to the website, later), but not before saying something about our visit to Rome. The first day in Rome it was 28 degrees and sunny, which you may think sounds great, but Rome is humid, I had to keep somewhat covered up due to sunburn, I had the sore feet, and so it was just uncomfortable. And then there was crowds. We had been thinking April was still low season there, but not so much–especially late April. That first day, we walked to the Trevi Fountain, and the Spanish Steps, and the Coliseum area… And everywhere was just crawling with an unbelievable number of people. 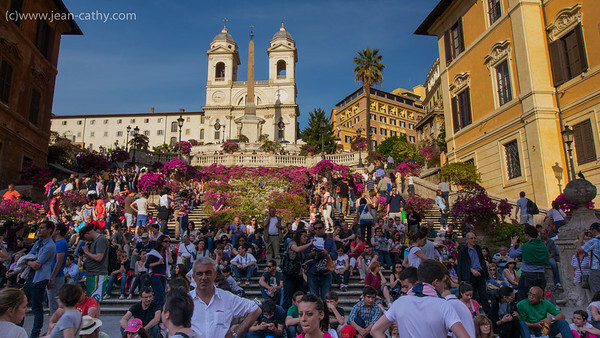 We had to share the Spanish Steps with just a few other people. 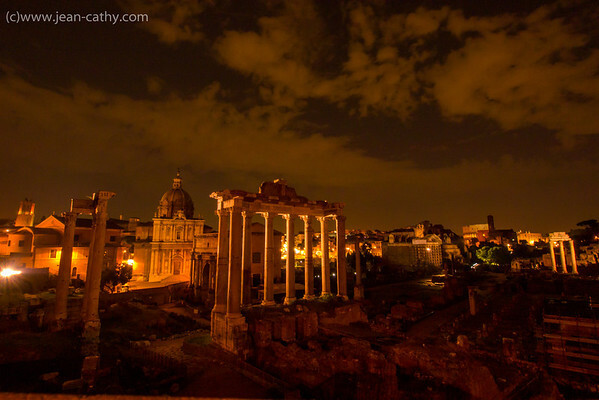 So Rome ended up fine as well. Thank goodness it was a second visit. 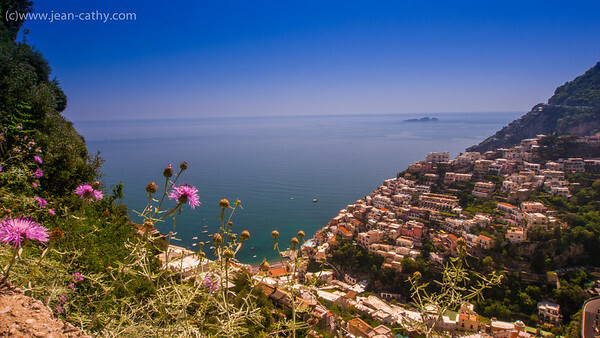 Categories: Travel | Tags: amalfi, Europe, fitness, hiking, italy, rome, travel, wine | Permalink. Thanks for sharing your experiences. The blog is beautifully presented and the pictures are delightful. This will be a treasure for you to look back on over the years.